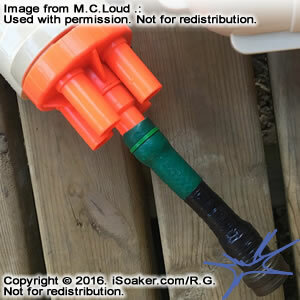 This is a fix for the Super Soaker Super Charger Power Pak. 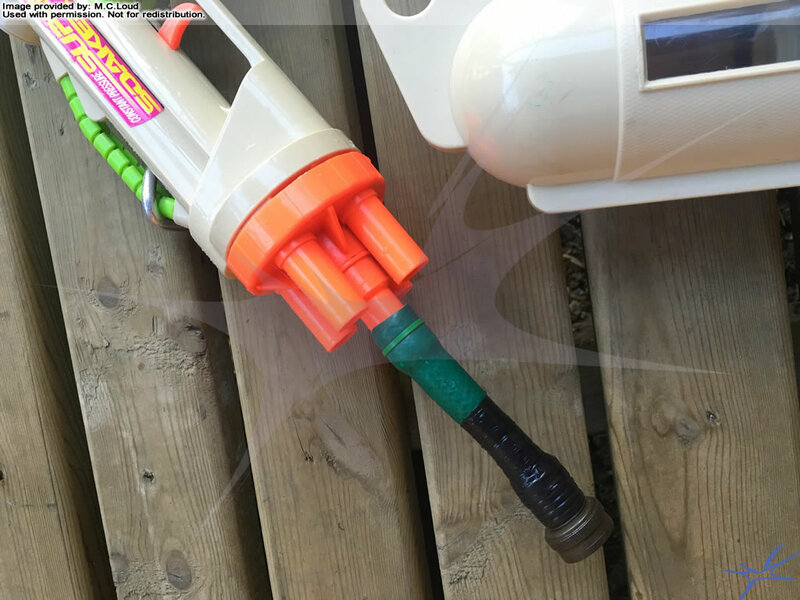 This weapon was designed to be used with a Quick Fill Device (which I lost). 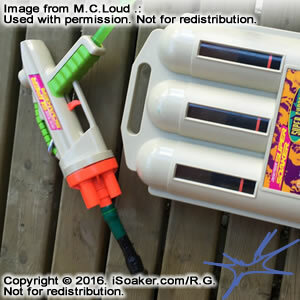 It might work on other QFD super soakers, but I haven't tried. 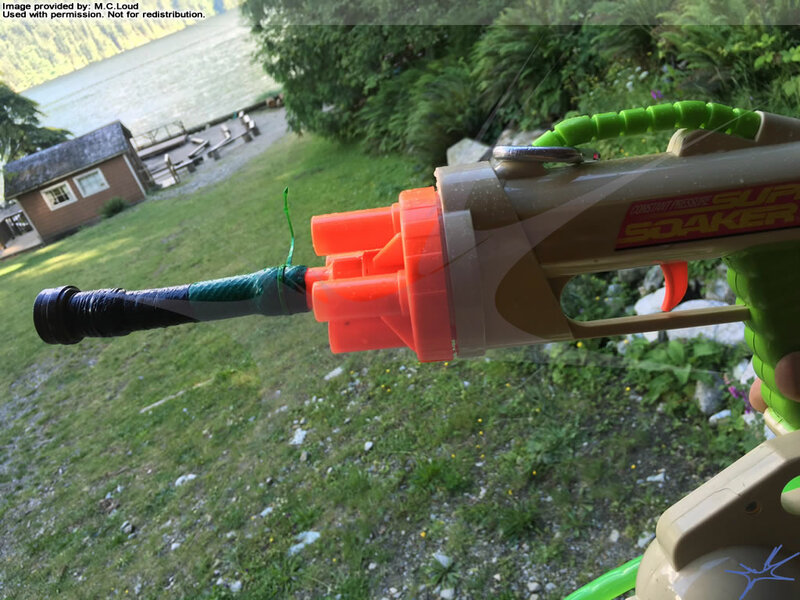 If you lose the QFD device you can still use this gun by adding a garden hose adapter directly to the gun. Cut 4-6 inches of hose on female end of garden hose. Soak hose in boiling water for a couple minutes. Stretch hose by inserting needle nose pliers into hose and opening. Alternate stretching and heating in water. Slide hose over the QFD and as far down as possible. 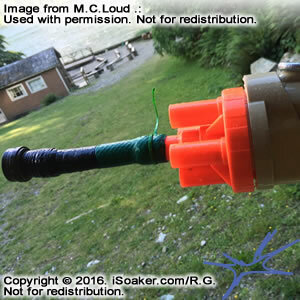 Add a hose clamp or tight zap strap to prevent hose sliding off. 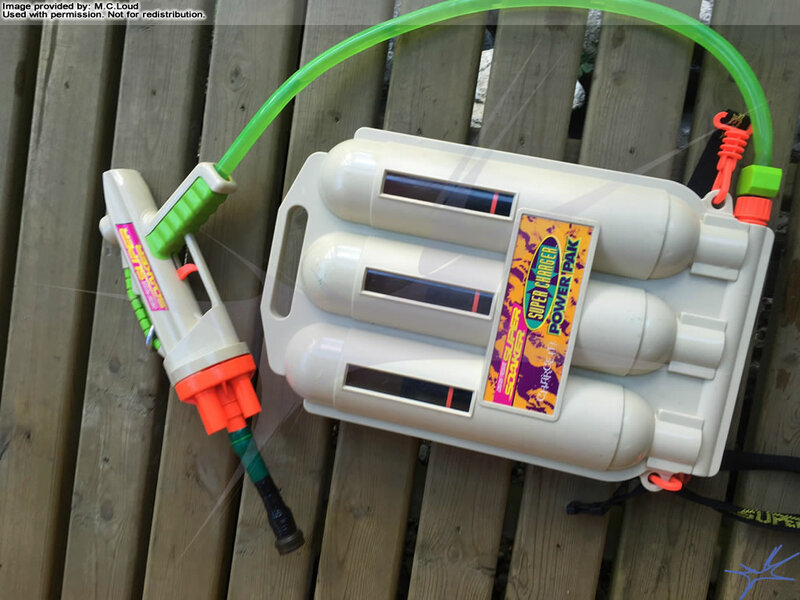 Now you can screw directly into a hose, and turn on the water to fill the backpack. It's a little slower, but works very well. It does not interfere when firing.